New paper out in Proceedings of the Royal Society B! among schooling fish, groups can have different collective personalities, with some shoals sticking closer together, being better coordinated, and showing clearer leadership than others. For centuries, scientists and non-scientists alike have been fascinated by the beautiful and often complex collective behaviour of animal groups, such as the highly synchronised movements of flocks of birds and schools of fish. Often, those spectacular collective patterns emerge from individual group members using simple rules in their interactions, without requiring global knowledge of their group. 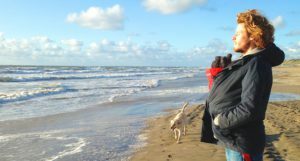 In recent years it has also become apparent that, across the animal kingdom, individual animals often differ considerably and consistently in their behaviour, with some individuals being bolder, more active, or more social than others. 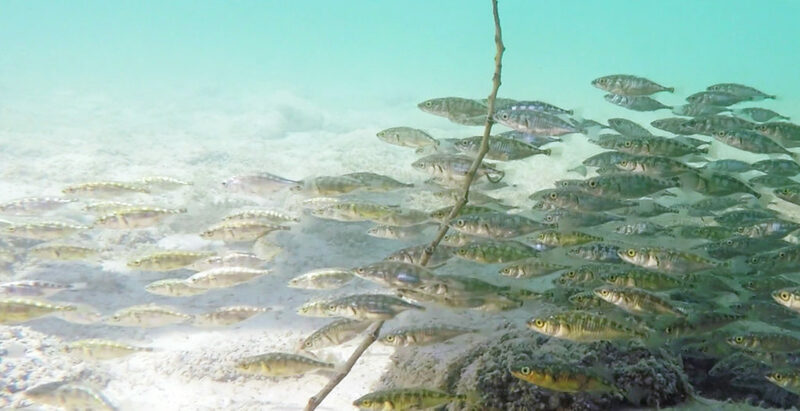 New research conducted at the University of Cambridge’s Department of Zoology suggests that observations of different groups of schooling fish could provide important insights into how the make-up of groups can drive collective behaviour and performance. In the study, published today in the journal Proceedings of the Royal Society B, the researchers created random groups of wild-caught stickleback fish and subjected them repeatedly to a range of environments that included open spaces, plant cover, and patches of food.